The stores are already filled with Christmas items. I walked by a large office building in Melbourne last week and it was decked out for the holiday season complete with very large Christmas trees, lights, and the works. 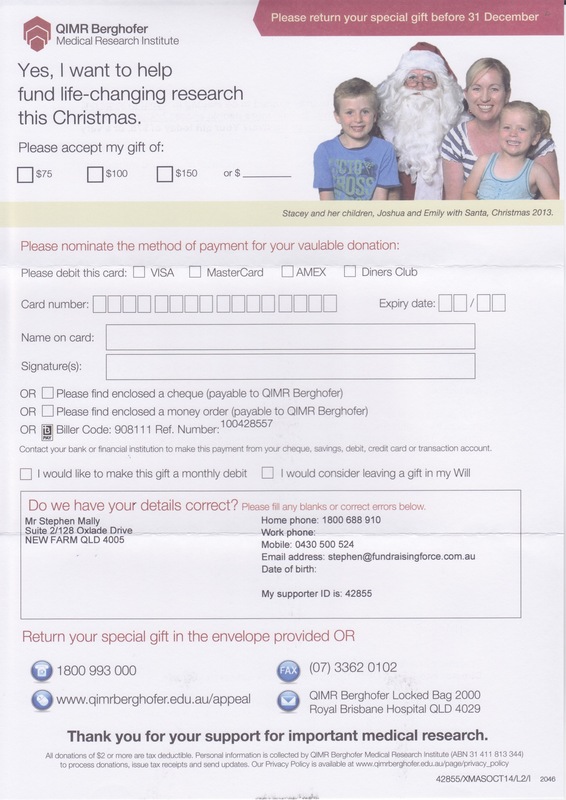 Each year I wonder which charity will be first to send their Christmas appeal. It is highly probable the charity to win this “contest”, to be first in my letterbox, will be The Salvation Army (the winner the last several years). But, hold on. Not this year. This year’s winner is QIMR Berghofer Medical Research Institute (QIMR). 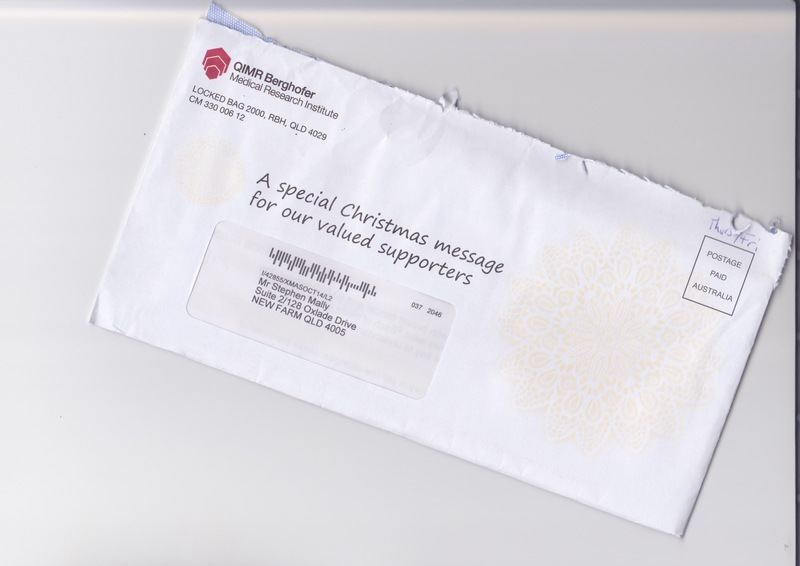 The pack, which was received on 30 October 2014, contains a message on the carrier to ensure everyone knows this is their Christmas appeal. The packet also contains: A two-page letter, a note from a woman named Stacey Edwards about her mother’s journey with breast cancer, a fact sheet about breast cancer, and a terrific response device. The response asks me to update my contact details and offers me a host of ways to give a gift including BPay, phone, URL, and FAX. Note the photo of Stacey and her children with Santa on the response device. Congratulations to QIMR. The winner of this year’s first of the lot!